Learn and teach about food! Fruits and Vegetables are eaten and seen around children everyday. Teach your kids how to recognize them and their benefits. 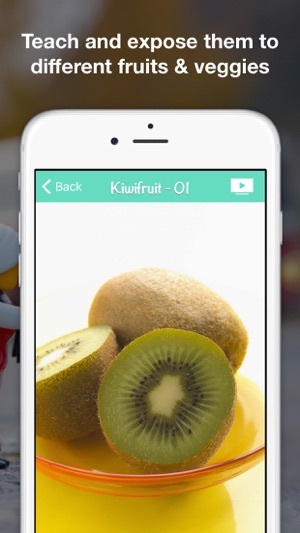 This app help your kids learn about Fruits and Vegetables in English an easiest way with beautiful and clearly photos. A Kid must application (6 months – 3 years). 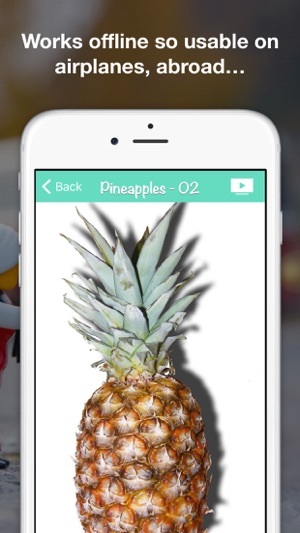 "This is a very useful and effective educational application for kids to learn Fruits and Vegetables in English." "Education and Health in one app! 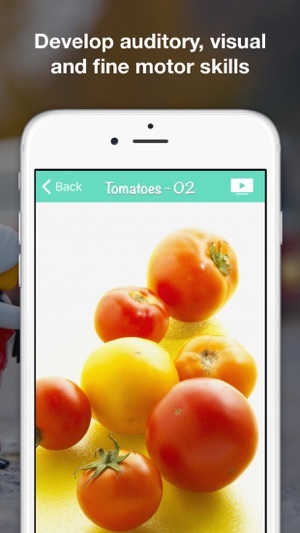 I like this app a lot, and how it brings a healthy living aspect into an educational app. Well done." 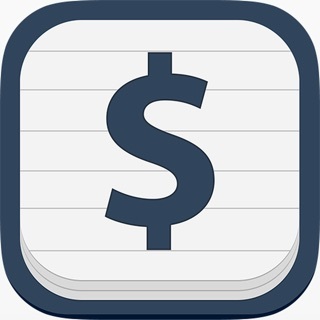 "Very Nice Learning App. 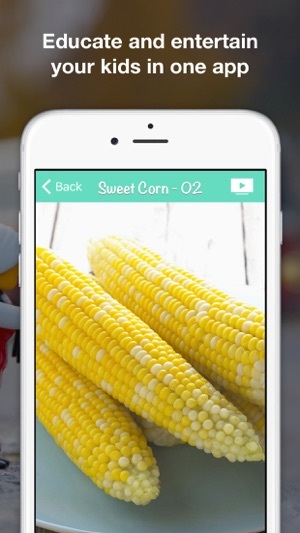 The app has a very imaginative way to teach about fruits and vegetables." Your suggestions and reports are very appreciated. Drop us an e-mail if you have any problems or suggestion. Also known as: Learn about fruits and vegetables, Fruits and veggies app for kids, Fruits and Vegetable Pics for Kids, Fruit Pictures for Kids, Vegetable Pictures for Kids, Download fruit and vegetable Wallpapers, Information about fruits and vegetables with pictures, Learn about the fruit and vegetables playing, Educational App about fruit and vegetables. App improvements and bug fixing. Love the app? Rate us! Your feedback keeps us coding to make the App better every day! Questions? Contact us via kids@ventura.media. We'd love to speak to you. I like that it is works offline and as a parent I think it's important to expose my kids to the variety of fruits and veggies we have out there. 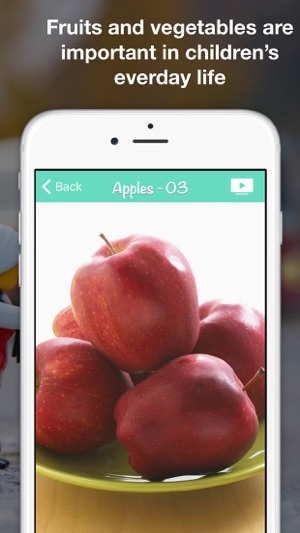 I play games with this app with my 3 yr old so he can remember the names of the fruit and vegetables. It's a great learning tool because of the pictures. Simple app with colorful pictures.